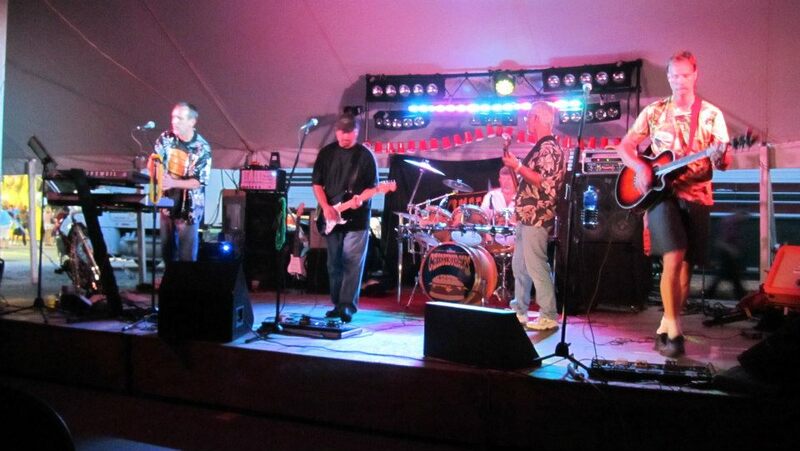 WE WELCOME NEW Cheeseburger bass player Don Van Dyke to the mix this weekend. Don has been working very hard to learn the songs and fit in with the band. He is a bit quiet but has a demented sense of humor, appreciates the fact we have a band roadie, drinks Coors Light and fits in very well. Jeff VanKanegan called it quits after many years of playing in bands. Jeff was the rock in the Cheeseburgers and would often be the voice of reason. More than a few times he had to tell the hyper guitar player and singer to his left to settle down. I already miss Jeff, but I'm excited about Don being in the band. The key to any group is to get along. We spend a lot of time together, mostly weekend nights. Harmony is just as important as hitting the opening high notes on "American Girl." Don understands that and soon we'll be abusing him like a regular member of the band. Don simply needs to play with us, work out the kinks. We don't expect perfection, but we will get effort and Don will get better and better. I know it took me several months before I really hit a groove with this band. It's also a good chance for us to update our material to new/old songs. We haven't had much practice in the past year because we've been playing every weekend, but we have to figure out a way to learn to some stuff and keep it fresh. We have a wedding Saturday, a private party a week from Saturday, then we'll unleash Don at One Restaurant on Friday, Feb. 1. Make your plans to hang out and welcome the newest piece of Cheese! Click here for the band schedule. 2013 is shaping up to be very Cheesey yet again!